Free Concerts. Free Events. Free Time Outside Together. Maine summers are made for being outside together. 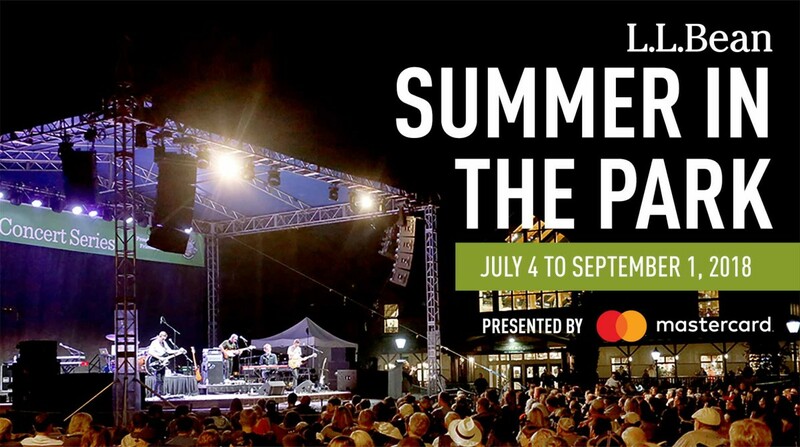 So we’re bringing back our annual summer-long celebration for another year of family fun, with acclaimed music acts, open-air movies, food trucks, festivals and much, much more. Because if it’s outside, we’re all in. For the latest information about weather or event cancellations, call 1-877-755-2326. 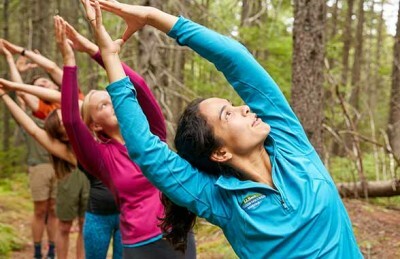 July 2-August 31; Mondays, Wednesdays and Fridays, 8 a.m.-9 a.m.
Start the day off right with fresh air and free yoga in our Discovery Park (weather permitting). Bring a mat and blocks if you have them – if you don’t, we’ll have some extras. Instruction by Freeport Yoga Company. All levels welcome. 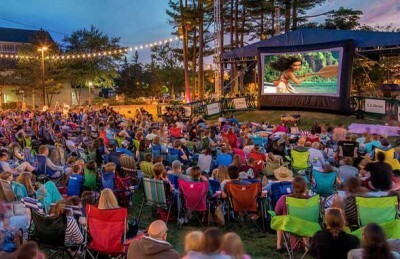 Starting July 6, Every Friday, Food Trucks Arrive at 6 p.m.
Get your outdoor film fix every Friday, right here in Freeport. We’ll have new entertainment lined up every week, including free outdoor movies, speakers and more. Bring a blanket, pick up dinner from local food trucks and vendors, and picnic with us in the park. Savor the season outdoors with summertime surprises all over our Flagship campus. 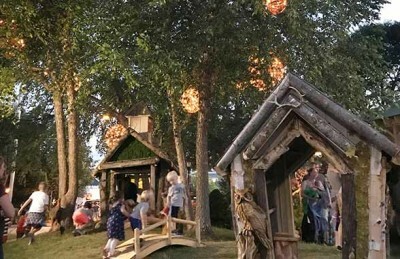 Check out our dog hangout, try geocaching, visit our kids’ woodland village or just enjoy the festive lights – there’s lots to do, so come and stay awhile! 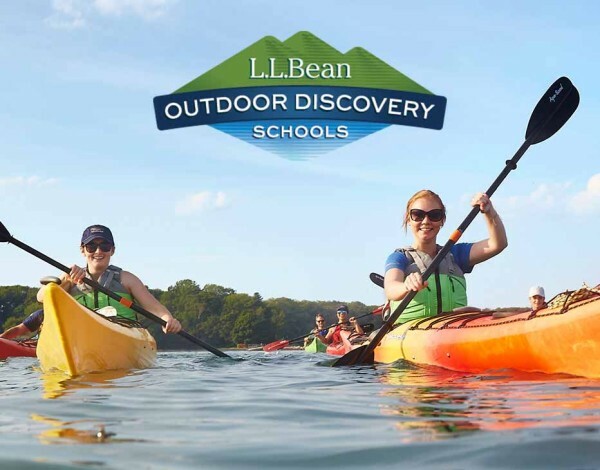 Learn to kayak, stand-up paddle board and more! Join our expert guides for exciting lessons, camps and trips for the whole family. Classes start at just $25. 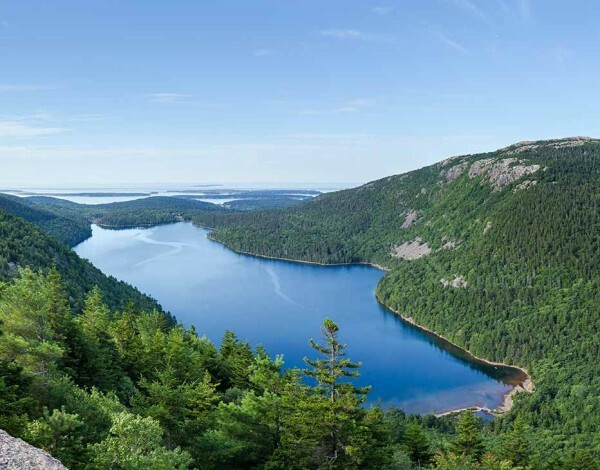 Starting June 1, you can pick up your park pass at our Flagship store in Freeport, so you can head straight into Acadia and let the adventure begin!